SA’s number one data bureau has added a new TransUnion product to help companies eliminate risk when it comes to choosing who they do business with. As South Africa’s number one data bureau, pbVerify is constantly striving to put the power of knowledge and sound decision making in the hands of local businesses. To this end, we have bolstered our TransUnion Business Report with Quick Vet 4 Business (QV4B) – an instant online commercial credit vetting tool that will allow businesses to quickly and comprehensively make informed decisions with regard to the customers they onboard. The new business score gives businesses an accurate overview in one quick view as to what the status of a potential business or customer is, without them having to go through the lengthy process of investigation and manual vetting. Via just one automated online process, businesses can now identify who the profitable and low-risk customers are, and move swiftly forward. The latest addition forms part of pbVerify’s expansive range of credit risk management products, which come with a top-notch support system. Businesses can access all Credit Bureau products via one secure, efficient online platform. “This new score is going to make the decision-making process a lot easier and quicker for our customers, and give them total peace of mind that they have made the right credit decision,” says System admin-support manager Sean Bennett. 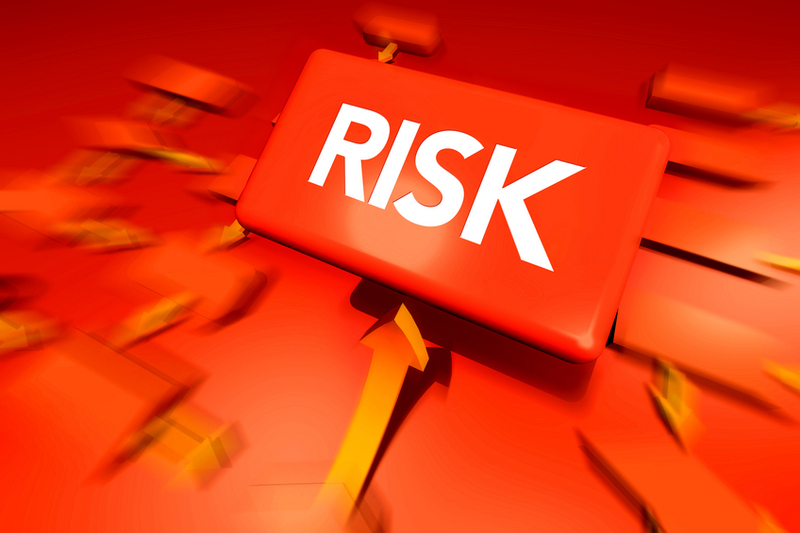 Understanding and implementing risk management is absolutely crucial when it comes to the success of your business. In today’s volatile financial milieu, no company can afford to enter business deals with businesses that have questionable financial footing. Unfortunately, too many honest businesses fall prey to dishonest or irresponsible parties that don’t fulfil their end of the business deal, whether it’s failure to repay a loan, defaulting on payments or being dishonest about credit histories, and this ends up hurting profits, productivity and reputation. pbVerify takes the risk factor out of your business decisions with its risk management tools. And it couldn’t be easier to sign up. After registering for free, you will have instant access to detailed financial information, credit histories, public trace record information and more. There’s no monthly fee – you only pay per search. pbVerify offers reports on individuals, companies, closed corporations, consumers and properties in South Africa. For more information or to get in touch with one of our dedicated pbVerify support agents, go to www.pbverify.co.za. Despite the country’s robust credit information industry, most South Africans do not know what their credit profile actually looks like. It’s an all-too-common scene: you apply for an account at a retail store, and are taken aback when your application is declined on the grounds of bad credit. As far as you know, you’re the poster child for sound financial management – so what went wrong? Most likely, “as far as you know” is not far enough. Sadly, even though South Africa has an incredibly strong credit information industry, many citizens are in the dark when it comes to what their credit profile actually looks like. Earlier this month, local news site News24 cited African Bank executive Alfred Ramosedi as saying that many South Africans were “surprisingly unaware of the importance of a good credit profile”. What’s more, he said, many didn’t even know what a credit profile was – and in instances where they did know, they rarely checked their own personal credit profile. And yet, the importance of managing your credit status – a task that begins with knowing your credit status – cannot be downplayed in today’s volatile economic climate. As Ramosedi rightly points out, many potential employers nowadays look at job applicants’ credit reports as a means of judging character and level of responsibility. South Africa’s leading property website, Property24, lists bad credit records as the number one reason banks reject home loan applications, while car finance giant Carfin says the first thing you need to do if you’ve been declined for finance is “Find out why” – i.e. check your credit report. Step number two, says Carfin, is to improve your credit score. The Credit Bureau Association points out that every single credit-active person in South Africa has a credit profile that shows how they manage their debts and accounts. Fortunately, if you are a South African who wants to do the smart thing and familiarise yourself with your credit profile, you don’t have to climb any mountains to do so. On the contrary, our country’s credit information industry makes the process next to effortless for you. So much so, that there is really no excuse for not knowing your credit status. On a scale of 0 to 8, South Africa ranks 7 on the World Bank’s Depth of Credit Information Index – a measure of the availability of credit information, where 8 is the highest level attainable by any country. Additionally, according to the National Credit Act, every consumer has the right to one free credit report once in a 12-month period from the country’s main credit bureaus, namely TransUnion (formerly ITC), Experian, XDS and Compuscan. A credit report is basically a comprehensive statement outlining your financial history and standing. It comprises information on your spending and borrowing patterns, how well you meet your financial obligations, general spending and payment trends and contact details. It also lists any judgment you may have against you, as well as any money owed to creditors. MYpbVerify* – the most versatile personal credit check service on the Net – offers you this and more. The tool not only gives you instant online access to your personal credit report, it also allows you to customise your report with variable information. MYpbVerify offers various pricing options to suit your needs. Depending on your status and credit history, you can choose either a Basic credit report, or a more advanced (Standard or Premium) report. The latter option includes directorship information, deeds data (properties owned), your personal Compuscan credit rating score and more. This year, do yourself a great favour – get to know your credit status and start building a good credit profile today. Not only will you never have to fret about being turned down when applying for credit again, you will also be able to take advantage of the better repayment terms that come with having a strong credit report. *MYpbVerify™ is an online credit check system designed for consumers in need of quality personal credit check reports. The product offers three different credit reports, all instantly sent via email in PDF format once an order is completed. Carfin – Have you been declined for vehicle finance? Due to recent reports that millions of people in South Africa are in debt, it’s critical that lenders check each applicants’ credit score in order to mitigate risk and avoid making a bad business decision. With pbVerify you’ll get access to consumer credit reports, be able to access applicants’ credit health and have all the information available to assist you in making smart business decisions. What type of businesses can benefit from using pbVerify? Credit grantors – Any Business selling on account. Check the credit worthiness of each applicant and use it as as risk management tool, whether you’re lending to an individual or to another business. Trace agents – In order to locate consumers who have defaulted, pbVerify gives you access to more than 30 million consumer records and our services are widely used by thousands of trace agents. System integrators – In order to verify the identity of consumers in the retail and HR industries, use our ID API services and get full and complete Home Affairs information. Estate agents and letting companies – Our credit check and deeds search services are widely used to assess prospective renters and to obtain information on property owners in South Africa. Managing risk and properly assessing credit applicants is a vital part of any business that lends money to individuals or to other businesses. When you register with pbVerify you’ll be able to make smarter business decisions, protect your company and get the full and complete information on specific consumers before deciding on a plan of action. For more information on obtaining a credit report from pbVerify please contact us today. We look forward to hearing from you! “The fall in the CCI reflects escalating consumer loan impairments and sustained growth in distressed borrowing, both indicators of rising household financial stress,” explained TransUnion in a statement to the press. What is the Consumer Credit Index? The CCI is a unique indicator of consumer credit health based on a 100-point scale. Deterioration in credit health is represented by an index below 50.0 and an index above 50.0 indicates improving credit health. “Consumer credit health has now been deteriorating for four straight quarters and the risk of deterioration in the credit cycle has risen materially,” commented TransUnion Africa President, Geoff Muller. “Credit-sensitive retail sectors need to become increasingly vigilant to the risks this trend poses to their business,” said Muller. pbVerify, an innovative web service, is already helping many companies in the credit-sensitive retail sector. Our consumer tracing, credit check, ID verification and business credit check tools make it quick, affordable and easy to do the thorough research that is needed before taking on new clients. 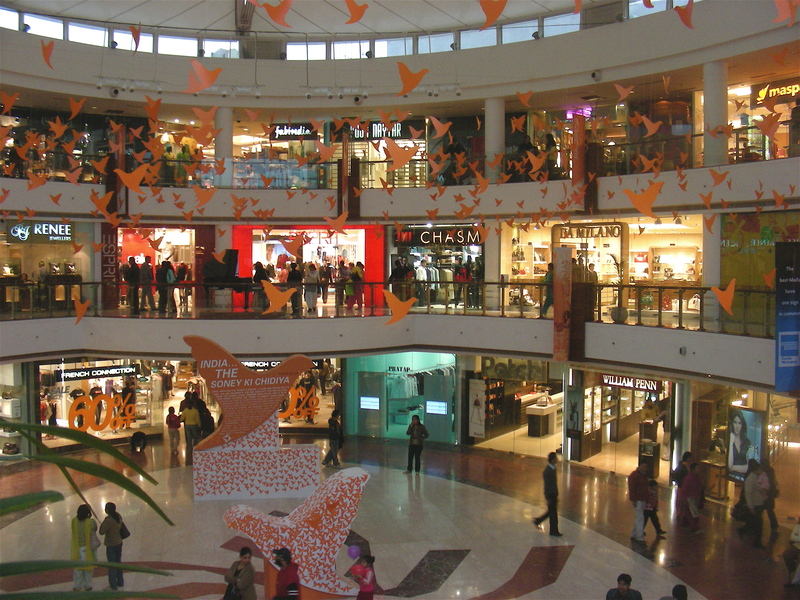 “In a tough global economy, it becomes even more important for retailers to mitigate risks. A deteriorating consumer credit health – while not permanent – shows that companies need to be more vigilant with regards to issuing credit and making sure they’re on top of all consumer repayments,” says Leon van der Merwe, Business Development Manager and Anti-Fraud specialist at pbVerify. If you want to find out how pbVerify can help your business mitigate risks, contact us today. We’ll give you a demonstration on how our system is helping hundreds of other South African businesses. MYpbVerify personal credit check website launches! Your trusted name in credit bureau data systems, pbVerify™ is proud to launch the new online personal credit check website, MYpbVerify™ for private consumer credit reports. If you live in South Africa and want a secure, discreet and fast way to get your credit report, this is it! As the local leader in customer communication technologies, Pitney Bowes is excited to be able to launch this newly developed tool to the market. Your credit information is gathered by credit bureaus on a regular basis from various sources that have extended you credit. Retailers, banks, lenders, employers, landlords, and other credit providers have access to your credit records to assist them with credit risk management in deciding whether to grant you further credit, a loan, a credit card, new employment, housing, or to offer you new products and services. As a consumer it is critical for you to know your credit status and always have a complete picture of your credit history and credit score. The MYpbVerify™ premium credit report considers all possible influences that may exist on your credit rating and combines it into one, easy to read credit check report that gives you a full picture of your credit history and credit status in the market. MYpbVerify™ not only gives you instant online access to your personal CREDIT REPORT, it allows you to customise your credit report with variable information and pricing options to choose from. 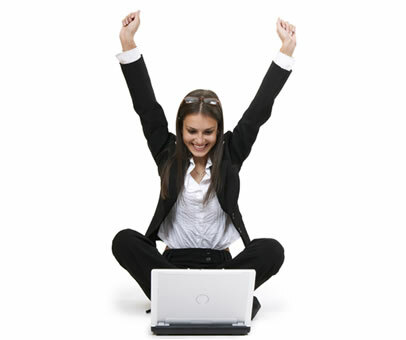 The most versatile personal credit check on the Net! Contact our support line on 011 516 9400 or visit MYpbVerify today! Understanding risk management is essential for the success of your business, as you don’t want to enter into business deals with individuals or other businesses that have sordid financial pasts. Unfortunately, too many honest businesses fall prey to dishonest or irresponsible parties that dont’ fulfil their end of the business deal, whether it’s failure to repay a loan, defaulting on payments or being dishonest about credit histories, and this ends up hurting profits, productivity and reputation. If you haven’t heard about pbVerify, you’re missing out on an excellent risk management tool that’s been specifically designed for businesses like yours. After registering for free, you’ll have instant access to detailed financial information, credit histories, public trace record information and more. There’s no monthly fee and you only pay per search, and we can supply you with reports on individuals, companies, closed corporations, consumers and properties in South Africa. What type of companies need a good risk management tool like pbVerify? Credit Grantors (any business selling on account). Whether your business does business with other Businesses or with consumers or both, we have the perfect solution for you. Connect your business to instant, online access to credit and registrar information from all three major credit bureaus, CIPC (previously CIPRO) and Department of Home Affairs (DHA). Real estate companies. Fully vet potential renters and tenants when you use pbVerify. Above all else, you want to be certain that you aren’t putting your business at risk by entering into a business deal with individuals who have a history of not fulfilling their financial obligations. Trace agents. Our consumer trace service is connected to more than 30 million consumer records in South Africa! If you need to locate consumers who have defaulted, this is the service for you. System integrators. If you need to verify the identity of a consumer, our widely-used system is the perfect tool to help you do so. Whether doing business with an individual or another business, you want to do everything you can to ensure that it’s a wise choice. pbVerify allows you to make an informed decision. To get more information about pbVerify, please visit our website today! Customers across South Africa have been ecstatic about the quick, accurate solutions that pbVerify offers. If you need an online tracing, consumer or ID check solution, we’ve got the all-in-one tool for you. Heilke Van Loon, Financial Manager at Borwa Financial Solutions, says that pbVerify definitely delivered on their promise about delivering quick and accurate online tracing solutions. “Any business can sell a promise, but only service providers sell the performance of the promise. Pitney Bowes definitely belong to the latter bracket. All of the four managers who use this service in our company have been satisfied with the level of service; this including both turnaround times in attending to any issues, and pro-active support and product development initiatives,” says Heilke. Kaajal Mackerduth from Genissis Cash Car Rental says that their company has found the online credit check system particularly useful. “Thank you, Pitney Bowes, for the fantastic services received by our company on the pbVerify system,” commented Kaajal from Genissis Cash Car Rental. “We are very happy with the service that our company has received from the pbVerify support team,” agreed Laurie Liebenberg from Liebenberg Opspoorders. “The pbVerify system works very well. It helps us to determine if an ID book is valid,” said Vanessa from Convert Cash regarding pbVerify’s online identification check solutions. Nicky Jardim-Mostert from Metal Industries Benefit Funds Administrators says they have been using the pbVerify ID verification tool for almost two years and they are still very satisfied with the ease-of-use and customer support that pbVerify offers. “pbVerify is very user friendly, accurate and all in real-time, which other databases cannot always offer! I would recommend this facility to any company – Metal Industries Benefit Funds Administrators,” says Nicky. Interested in learning more about how our online consumer tracing tool has helped companies across South Africa do business? Then give us a call today on 011 516 9400 or visit www.pbverify.co.za.